INNSFIL, Ontario — Since 50 laps – well 48, but we’ll get to that – in the OSCAAR Modified wasn’t enough, Wally Wilson performed double duty in running the Outlaw Midget event as well. Ultimately, he was able to leave Sunset Speedway with a top-10 finish. Wilson would start off the weekend by finishing eighth in his first heat, followed by a sixth in the second qualifier. With 29 cars on the property, a b-main was run to set the back end of the field and determine who would not make the show. Unfortunately, Wilson was forced to run the event, in which he scored an eighth-place finish. While it wasn’t enough to lock him into the show, he was one of two drivers allowed to transfer to the main event via points provisional. Starting on the last row of the 24-car field, he would move up two spots to 22nd by the halfway mark of the feature, followed by another spot as he avoided an incident in turn four with 20 laps to go. He would crack the top-20 following the fifth caution with five laps to go. Unfortunately, his feature would come to an early conclusion as he was forced to the pits with two laps to go as a result of a mechanical failure. He was credited with a 19th-place finish. Behind the wheel of his No. 69 Outlaw Midget, Wilson finished fifth in both of his qualifying heats, allowing him to start fourth for the feature. Although he faded back in the early stages, he’d continue fighting hard throughout the 25-lap feature en route to an eighth-place finish. Wilson will be back behind the wheel of the No. 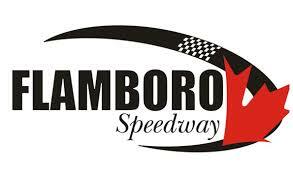 69 OSCAAR Modified on Saturday, September 28 at Flamboro Speedway as part of Frostoberfest. Wilson’s efforts are supported by The Fyre Place & Patio Shop, Have1.com, Larry’s Small Engines, and Wix Filters. Wally Wilson Racing is a proud supporter of #BurnOutTheBully and Laps for Muscular Dystrophy..
Keep up with Wally Wilson by liking his facebook page at https://www.facebook.com/Wally-Wilson-Racing-443805665798939/?fref=ts, while following on twitter at https://twitter.com/WallyWilson_69.